In the past Out of Office, or Roadies as it was then know, was dedicated to reviewing micro breweries. With the relaunch of the segment it now also takes in other great craft beer related stuff outside of my bar! 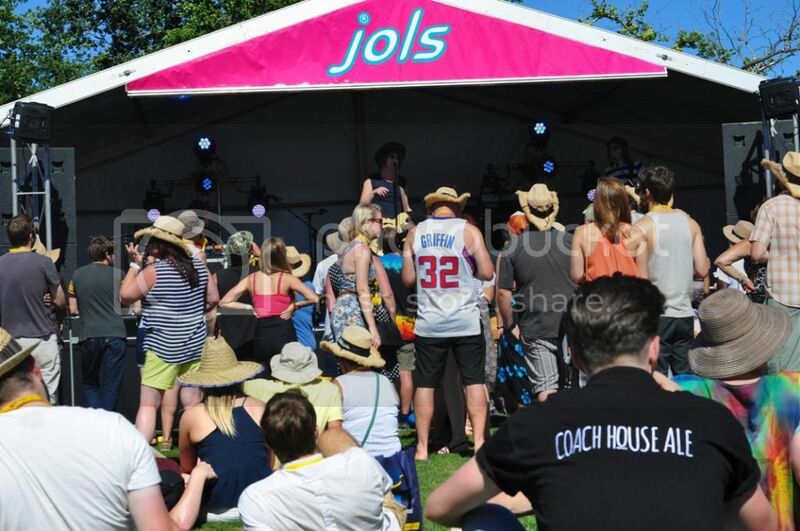 Held over the Australia Day long-weekend, Ballarat Beer Festival is into it's fourth year. This was my first trip up to Ballarat for the festival and when I boarded the train at Southern Cross for the 1 and a half hour journey I was pretty excited, yet unsure what to expect. A quick little nap on the train and I was ready to go. The free bus shuttle service from Ballarat train station to City Oval was a nice touch, it was a walk-able distance but would've been quite long. Ballarat had certainly saved it's best weather of the year for the day, with the sun beating down and not a cloud in the sky. So sunny was it that my first port of call was the merchandise stand to buy a hat! City Oval in Ballarat is quite picturesque on a brilliant day, I can't imagine it'd be the same when they play footy in the pouring rain on a Saturday afternoon though. 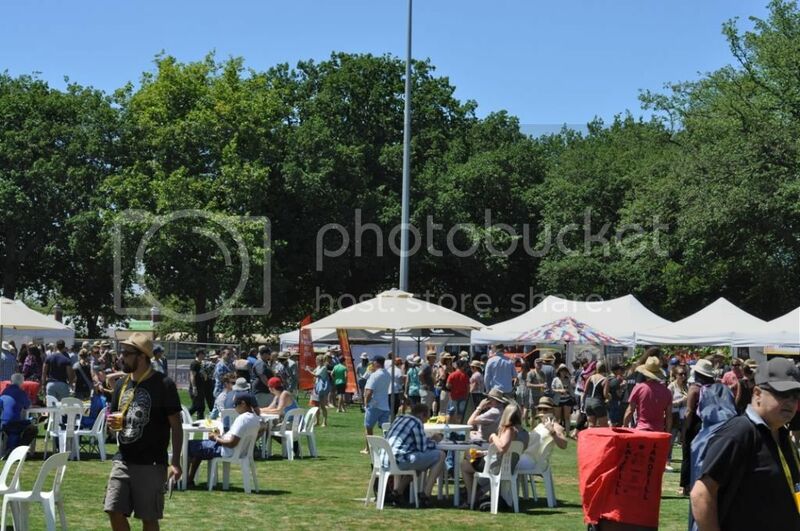 While the oval would usually be dotted with players chasing a ball; on Beer Festival day it was dotted with beer lovers chasing their favourite brewers around and sampling their wares. Much like GABS, Ballarat Beer Festival runs on a token system, which really does make buying beers so much easier, no pesky coins to put away in your wallet while somewhat (read very) inebriated! I fittingly kicked off the day with a beer from Ballarat's own Rebellion Brewery. The beer was O'Brien's India Pale Ale, a gluten free IPA. It was nothing particularly special, nor was it's stable mate the Rat Lager, but both were light and drinkable. Riverside Brewing was the first tent I decided to make a beeline for, and more specifically their '77' IPA. It's a beer that I love, and also one you'll see in this month's Bear Club. This was where I had my first two token beer of the afternoon and it was certainly not to be my last! A visit to one of the breweries I never had a beer from before was next. That brewery was Savarain from Sale in Eastern Victoria and if I'm being honest I'd never even heard of them before the festival. The beer was their S'In Brown Ale and it was quite an impressive Brown Ale at that with malt and hops working together in great harmony. Kooinda's new Blackberry Wit was the next to pass my lips. It had quite a tart yet sweet fruit flavour, which wasn't distinctly blackberries, but also managed to still clearly show it was a witbier. I hope that makes some sense to those of you who haven't tried it. Southern Bay's Ranga was earning rave reviews from those around me and I have to say I was impressed, coming from someone who isn't the biggest Amber Ale fan that's high praise indeed! At this point I think I decided that I needed to line my stomach with something. The Festival had a healthy lineup of different food trucks, most of which would go really well with beer. Tornatoes are possibly the greatest beer snack in the world! 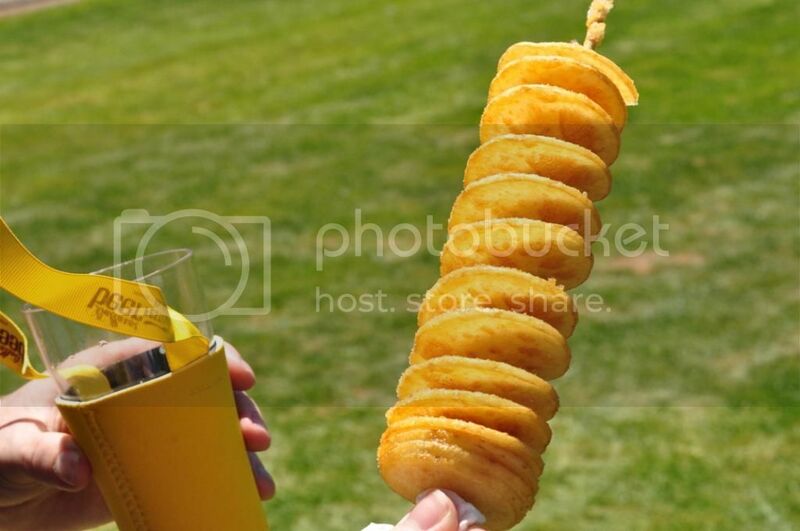 Thin deep fried potato dipped in your choice of seasoning! I had a lot of them throughout the afternoon... The sausage sizzle run by the RSL also got a bit of a workout, 1 token ($2) for a sausage with sauce and onions is hard value to beat! From here on in my ratings on Untappd seem to have gone up and up... I wonder why? Anyway Barrow Boys' Pedlars Pale really hit the spot given the weather conditions and I was impressed by how much Rye there was in Temple's Rye Hard. We then headed up to the Brewers Backyard, where most of the guys who brew at Cavalier, and a few others, were hanging out. Exit's #005 is a lovely amber ale, although was possibly still a little green. I had a good chat to Frase and Grum from Exit there, both lovely guys - can't wait to see what their next offering is like! We wrapped up the day on the grass in front of the stage, with the odd venture for more beers and pork taco's - Dos Diablos make the best pork taco's! The music was good, the beers were good and the company was great! Around 6 we headed back to the shuttle bus, apparently via the merchandise stand, to get the train back home. 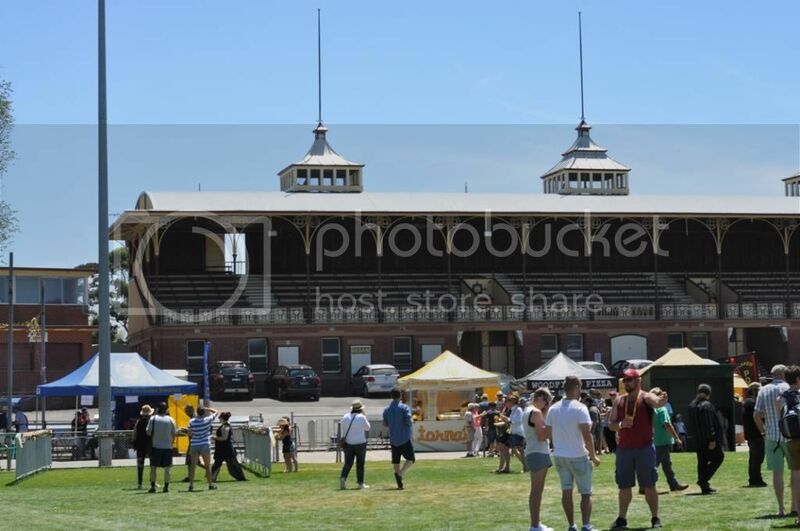 If they'd had tickets on sale for next years Ballarat Beer Festival at the gate on the way out I would have bought one! It was such a great day and I'll definitely be back next year, hopefully with a bigger crew. There's wine and cider stalls dotted around as well for anyone who isn't a fan of beer (apparently those people exist!). 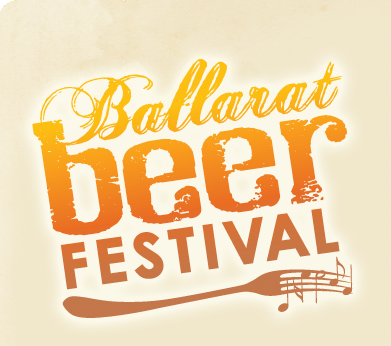 All of you who have thought about going to Ballarat for the Beer Festival, stop thinking and go - it's absolutely worth your time. I met a few of the many Untappd friends that I've never met previously, got very drunk and only mildly sunburnt! If that's not a glowing endorsement I don't know what is!